Every registered nurse aspirant is required to take the NCLEX-RN (National Council Licensure Examination for registered nurses) exam to obtain certification in any of the 50 U.S. states, the District of Columbia, or four U.S. territories, which include the Virgin Islands, American Samoa, Northern Mariana Islands and Guam. It is designed to test the abilities, skills, and knowledge of a nurse, required for the safe nursing practice at the entry-level. The exam is organized by the NCSBN (National Council of State Boards of Nursing, Inc.) and is conducted by the testing vendor, Pearson VUE. Your competence level is gauged through an interactive system, known as CAT (Computerized Adaptive Testing). Level 1 This section includes approximately 10 percent of the total questions and comprises of basic questions. It tests the knowledge, understanding and skills of an individual to recall the specific information and facts. It is possible that the exam may contain Level 1 questions. Level 2 This section is based on analysis and application type questions. It requires individuals to know specific information and then implement it in analyzing the question. Level 3 This section of the examination contains complex questions and requires an individual to evaluate, judge, and combine information in the end. Upon reading the question, the individual needs to apply the facts, rules, and processes they know and then constantly make decisions on the given situation.Level 2 and level 3 generally covers 95 percent of the total questions. The NCLEX-RN is a computer-based test taken at a Pearson Professional Center. There are a large number of testing centers in different states of the U.S. The centers can also be found in 175 different countries. Approximately 90% of the examination consists of multiple-choice questions while the remaining consists of filling in the blanks, putting a number of steps in the correct sequence, identifying a correct area on a picture, or choosing correct answers from a list of options. It may also consist of questions asking information about a chart, graph, or audio clip. Pictures may also be used as an option for answers. The question will appear just once on the computer screen and won’t be repeated. Depending on how you answered the previous questions, you can expect a total of 75 to 265 questions. Among the first 75 questions, only 60 will be counted. The remaining 15 are “trial” questions and will be utilized on future tests. You will not be able to identify these questions; thus, it is recommended to attempt each and every question. The maximum time period to complete the RN test is 6 hours. A break of 10 minutes 2½ hours after the commencement of the exam and another optional break about 4 hours after the exam are given to you. You may take breaks at any time of the exam, but you will lose the given additional break time. You can make a maximum of three attempts to qualify the exam. Send an application for registration/licensure to the regulatory body/board of nursing where you want to get registered/certified. Fulfill all the eligibility criteria of the regulatory body/nursing board for taking the NCLEX-RN exam. Make the payment of the fees. Acquire eligibility from your regulatory body/nursing board. Once you are declared eligible, you will receive ATT (Authorization to Test) letter. Schedule your exam either by phone or online. It’s compulsory to take the test within the dates of validity of your ATT, which in any case is not extendable. Office Hours: Monday–Friday, 9:00–18:00 CET (8:00–17:00 GMT), closed on local holidays. Note: Pearson VUE will correspond with you only via email. Correspondence from Pearson VUE may go to the junk or spam folders automatically. So, check these folders. You can change the regulatory body/nursing board by requesting via http://www.pearsonvue.com/nclex/contact/ and paying a fee of $50. If you are a Canadian NCLEX candidate and want to change the language of the exam, then also you need to pay $50. You can contact the customer service at http://www.pearsonvue.com/nclex/contact/ if you wish to schedule your NCLEX-RN licensure examination at a test center, which is located outside the U.S. or Canada. For this, you will have to pay VAT (Value Added Tax) and fee of $150. Do not forget to take your original ATT letter and acceptable ID to the Pearson Professional Center. Gloves, scarves, hats and coats are not allowed in the testing room. Try to reach the examination center before 30 minutes. After ½ an hour of the commencement of the exam, no applicant will be allowed to enter the examination hall. You need to provide your signature, palm vein scan, and a recent photograph. You need not bring any paper or writing instruments for rough work. An erasable note board/marker and an on-screen calculator will be provided for making notes. Since the time period for completing the exam is six hours, including the two optional breaks, take required time to analyze each and every question carefully. After completing the exam, a short computerized survey will be displayed. Raise your hand and wait for your turn till the TA release you. If the board you have applied for is a part of Quick Results Service, you may receive your “unofficial” results within 48 hours after the completion of the exam by paying $7.95 on the Pearson VUE NCLEX Candidate website. The board will mail the official results to you in approximately 1 month after the exam. An NCLEX CPR (Candidate Performance Report) will be received, in case, you don’t pass the exam. It will indicate your performance in each section of the test. You may use this as a guide to prepare yourself in order to retake the examination. Notify your board of nursing that you want to retake the examination, and determine the fees and documents required. Re-register with the testing vendor Pearson VUE and provide a fee of $200. 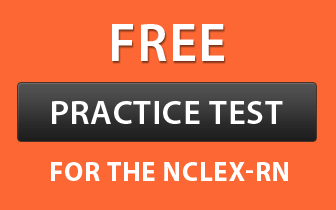 Upon receiving the ATT, schedule your NCLEX-RN test again. If you have completed your graduation recently, you are aware of enough content. Try to formulate new strategies to answer higher-level questions. Try to categorize each and every question according to its essential topic which may help you in saving enough time and will be essential for you to answer in a better way. Get to know the question format, content, length and passing-level-difficulty of the exam. Be prepared to sit and attempt all 265 questions, and work on your stamina to take the test. As there is a limited time period, make use of your valuable study hours by focusing on the areas, which needs your attention. Plan your studies and practice sessions accordingly keeping in mind your test date. Ensure that you cover all the essential topics.